Since fall is my very favorite season I like to incorporate it outdoors as well as all the way through the house. Some spots need a more subtle fall touch, like the bathroom, just a little something simple to add a dash of color and festive fall flair. This Country Pumpkin Fall Decor is really perfect to add anywhere in your home, use a variety of fall colored bandanas- orange, burgundy,and yellow to create an entire pumpkin patch! Spread your bandana out on a flat surface. 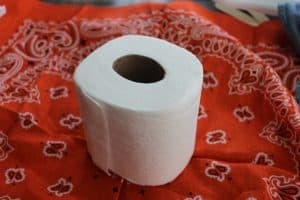 Set toilet paper in the center of bandana. 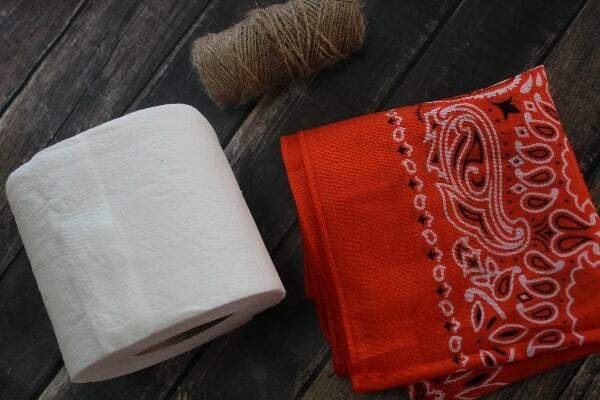 Gather up corners and bunch up the top of the bandana over the toilet paper roll. Tie twine tightly around gathered bandana, wrap several times, covering about 2″. 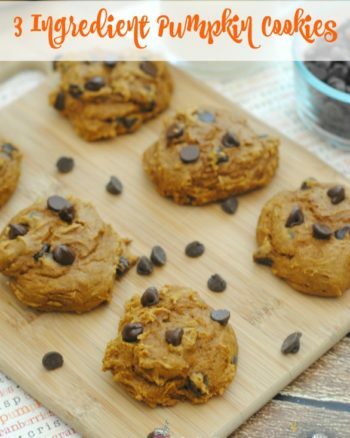 Set on the counter or the back of the commode and enjoy your pop of color and country fall decor. See super easy and quite frugal as most of the items can be picked up at Dollar Tree. Be sure to check out the Pumpkin Scented Pine Cones below, they will go great with this Country Pumpkin Fall Decor and are just as frugal. 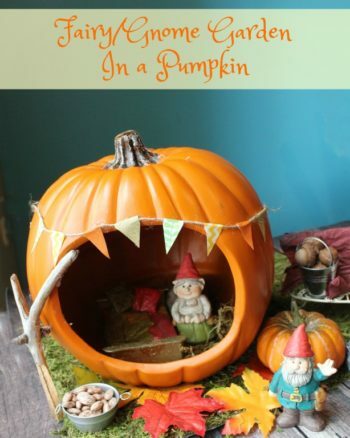 Check out these other simple pumpkin and other fall crafts for more fun !